St. Laurentius Church in Fishtown. A recent Archdiocese of Philadelphia memo directs parish pastors not to get involved with any efforts to designate its churches or properties for historical preservation. The letter, distributed on Jan. 7 and published on the Philadelphia Church Project website, makes specific references to cases involving parishioners attempting to use historic designation in an effort to save church buildings closed by the archdiocese and slated for demolition. The memo reinforces a 2010 policy that states that "all Pastors, Directors and Administrators are requested not to become involved with or participate in the historic land marking of any buildings of the Archdiocese of Philadelphia and its parishes," no matter how well-intentioned those offers of assistance may be. Monsignor Daniel Kutys, who serves as moderator of the curia for the archdiocese, wrote that the archdiocese intends to challenge recent efforts to designate Philadelphia churches as historic, including a designation given to the exterior of the St. Laurentius Church building in Fishtown and a nomination for designation of the interior of St. Laurentius. The Philadelphia Historical Commission said it would not comment on the memo at this time. Ken Gavin, spokesman for the archdiocese, said the memo does not mean it will not work with the historical commission on ongoing matters, including St. Laurentius Church. "What it means is that pastors are required to work in conjunction with the Archdiocese of Philadelphia on any possible application for preservation," Gavin said in an email. St. Laurentius supporter John Wisniewski acquired the memo from a parishioner at a South Philly church and sent it to the Philadelphia Church Project. The Philadelphia Church Project is a collective effort that aims to tell the stories of historical churches in the city and advocate for their preservation. The organization criticized the memo and policy in a blog post that accompanied the archdiocesan letter, saying it blocked out helpful organizations and was a case of the Archdiocese trying to "rig" the game. Wisniewski, an active member in the effort to save St. Laurentius Church after it was closed and slated for demolition by the archdiocese, noted that the memo is no different from previous stances taken by the archdiocese. He did, however, question some of the language in the original policy. Specifically, he lambasted the section that states designations achieved without the consent of the religious community "represent a threat to the religious freedom" because of the financial burden associated with maintaining or repairing church buildings. Archdiocesan decisions to close churches like St. Laurentius have left out of the decision-making the parishioners to "whom the church belongs," Wisniewski said. "It is yet another example of their corrupt and demented ideology," he said in a text message. 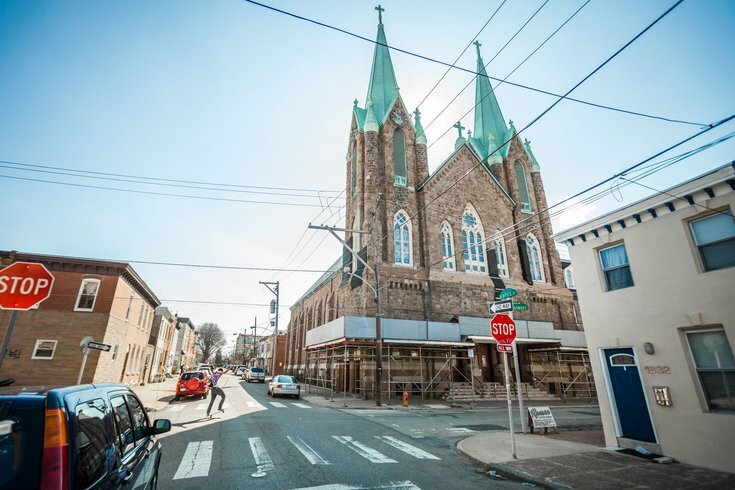 St. Laurentius was designated a historical site by the Philadelphia Historical Commission after a two-year-long battle with the archdiocese, which intended to raze the 19th-century church because it was in imminent danger of collapse. Conflicting estimates of the costs to maintain the church, as well as engineering reports on the condition of the church building, were presented by both sides before the designation was granted. The Committee to Save St. Laurentius is still working to figure out a potential use for the building.